Australia’s live performance industry has welcomed today’s announcement of an agreement to secure the future of Sydney’s iconic Theatre Royal. Live Performance Australia Chief Executive, Evelyn Richardson, said “We’re very pleased to see that our call for this theatre to be reopened has been heeded by the NSW Government and Dexus in the form of a long-term lease agreement. The future of the purpose-built venue at the MLC Centre in the CBD has been shrouded in uncertainty since it was closed in 2016. Last year an alliance of producers, actors, creatives and crew rallied to save the Theatre Royal. A petition signed by almost 10,000 people demanded the Government ensure the Royal is reopened. Live Performance Australia lobbied the site’s owners, Dexus and The GPT Group, the NSW Government and the City of Sydney on the future of the venue. “This is an important agreement to help secure the future of the Theatre Royal as part of Sydney’s live performance infrastructure,” Ms Richardson said. “We look forward to studying the terms of the proposed leasing arrangement in closer detail when it is available. ‘We also call on all parties in the current NSW election to commit their support to the future of the Theatre Royal,” Ms Richardson said. Ms Richardson said there is still more to be done in Sydney with respect to commercial theatre venues. 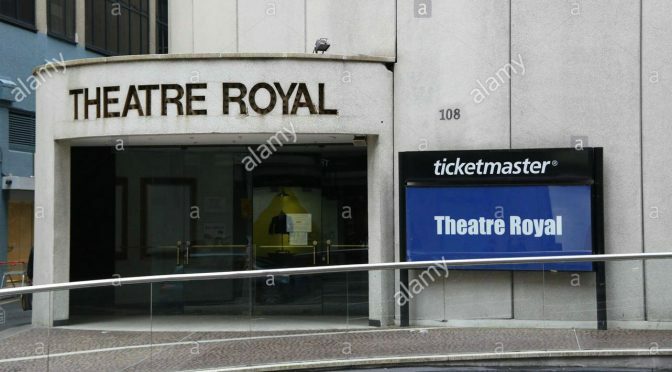 “Even with the Theatre Royal coming back into play, the city is still short some 3,000-4,000 seats and this needs to be addressed as a matter of urgency. “Furthermore, several of Sydney’s existing theatres are closed, or closing for renovations including the Opera House, Riverside and Wharf Theatres. “Without venue capacity, shows can’t be booked and they go elsewhere, which can also impact on the touring prospects for other Australian cities,” Ms Richardson said.